Lyman's Plains Pistol recreates the trapper's pistol of the mid-1800's while incorporating the best of modern steels and technology. 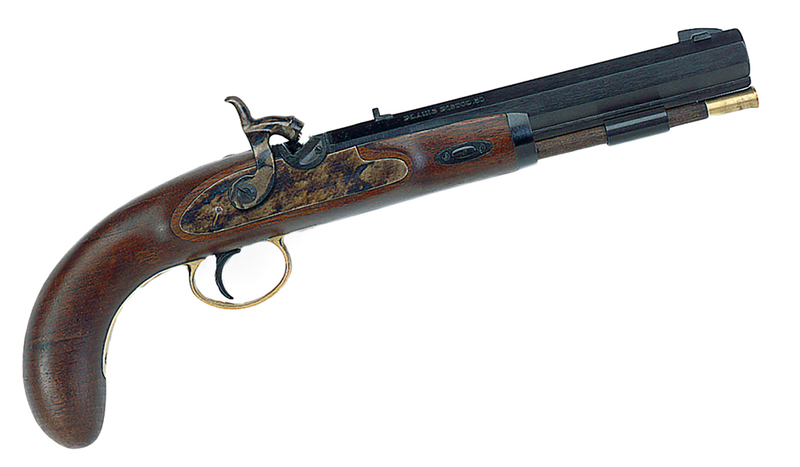 It's the perfect companion to a Lyman black powder rifle. This percussion pistol is loaded with quality features including a richly stained walnut stock with blackened iron furniture, polished brass trigger guard and ramrod tips.